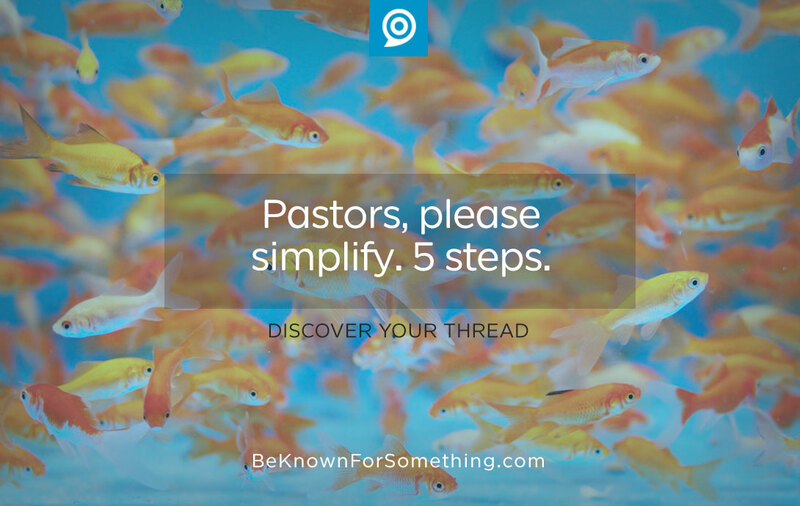 Be Known for Something : Discover Your Church Communication Thread / Communication Strategy / Pastors, Please Simplify. 5 Steps. The world has changed. Attention spans have recently been documented to be shorter than a goldfish. In our work and leisure, we don’t concentrate on things for a long time anymore. Even movies and TV shows have shortened scenes and segments. Yes, it’s a shame, but no matter how much you want that to change, the church is not going to get the congregation to concentrate longer. Have one central point to all communication. After the service, imagine someone in the foyer asked, “So, what was the sermon about?” No one is going to reiterate the entire 35-40 minutes. Because everyone likes to summarize. We file things learned into memory categories so we can recall them later. The person who can summarize your sermon in one sentence will remember the details longer. “It’s about James but really about steps to saying the right things at work”. How do you get people to do that? Keep coming back to the main point throughout the sermon. Every point supports the main theme. Your repetition helps create a skeleton to hang other things on. Connect the dots for us. Tell us how we should think or act differently based on your points. Every great advertisement ends with a call to action. Every great story does too. Your sermon communication needs to finish with a genuine, authentic, transparent, decision that needs to be accepted or refused. Connect with our senses. We all don’t learn the same way, and we have short attention spans. The solution? Use different types of teaching methods to interrupt the audience when they’re listening. For example, switch between verbal instruction, to aural, to visual, and back to verbal. Since our attention span is only a few seconds, we drift in and out of the sermon content. Create interruptions with stories, videos, visual aids, and readings to bring us back to the reality of the moment. Simplify, keep everything short, and make the transitions wisely. Communicate it with fewer words. Stop talking before we stop listening. If not, you might as well talk in an empty room. 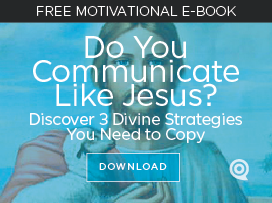 Wouldn’t you rather have a 20-minute sermon that holds everyone’s attention and sends them out on a mission instead of a 40-minute in-depth sermon that proves how brilliant and “deep” you are? This isn’t about you; it entirely about the receiving audience. And if they received. Pastors, we look to you to do the heavy-lifting for us. To use your wisdom, Bible knowledge, research, and in-depth study to compress and give us the highlights of what you’ve learned. So that we can learn and retain. Please. Simplify.